You are here: Home / Our Animals / Chickens / Do Raccoons Eat Chickens? Here’s What You Need To Know! How do you know if a raccoon attacked your chickens? Unfortunately, I’m usually contacted by someone after they find their chickens dead in their coop, and they can’t figure out what attacked their birds. So, do raccoons eat chickens? The short answer is yes. Although we love our chickens and view them as anything but food, the rest of the natural world doesn’t feel the same way. In fact, chickens are a good eat for any carnivorous predator. So, given the opportunity, yes, raccoons will eat chickens, and not be too ashamed of it. Now for full disclosure, we don’t have a lot of our masked friends in our area – we’re usually battling opossums, domestic dogs, the occasional coyote (they’re around, but don’t try to break into our coops, knock on wood), and hawks. I’m sure we have more predators around than I know – there’s been times I’ve come out in the mornings to feed, only to find a rabbit or chicken missing, and no idea what happened. No sign of a struggle – nothing. I’m fairly confident it’s not raccoons, however – and I tell you why below! I review some common predators that, like raccoons, eat chickens here, so in this article, we’ll just focus on raccoons, which have a tell-tale sign of their presence. Unlike coyotes, dogs, and hawks, who take their prey away from your backyard, raccoons like to share that they’ve been around. When a raccoon decides to eat a free meal, it’ll leave pieces of chickens laying around your coop, front yard, and even your porch. Yep – it’s a gruesome and upsetting site, but it’s also one that’s fairly conclusive. Skunks and opossums usually eat the chickens right where they’re attacked, and leave the bodies in the same place. Raccoons will distribute the remains WHILE they eat chickens, leaving a trail that’s unpleasant to come across. Raccoons have nimble fingers and are quite intelligent – so your #1 priority is to make sure your coop is safely locked. Simple slide locks are easy for raccoons to figure out, so choose a lock that’s either out of their reach or would be difficult for a toddler to figure out. In the same vein, make sure the door of the coop closes tight, all the way around – we’ve had coop doors that close, but still left a gap – predators can still get into the coop through those cracks. Be particularly vigilant if you have young chickens that aren’t roosting yet – pullets & cockerels don’t roost until they’re a bit older. As young chickens, they still lay on the ground at night, and are a prime target for raccoons wanting to eat. Keep feed out of the coop at night – keep it away from AROUND the coop also. 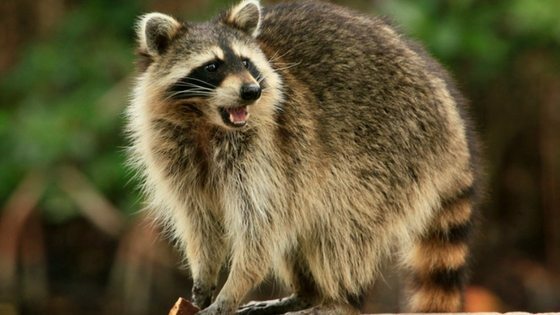 Raccoons eat chickens when there’s something that begins attracting them in the first place – so eliminating that issue is your first defense. If raccoons are a problem in your area, it’s also important to use hardware cloth – ¼-inch hardware cloth is best. 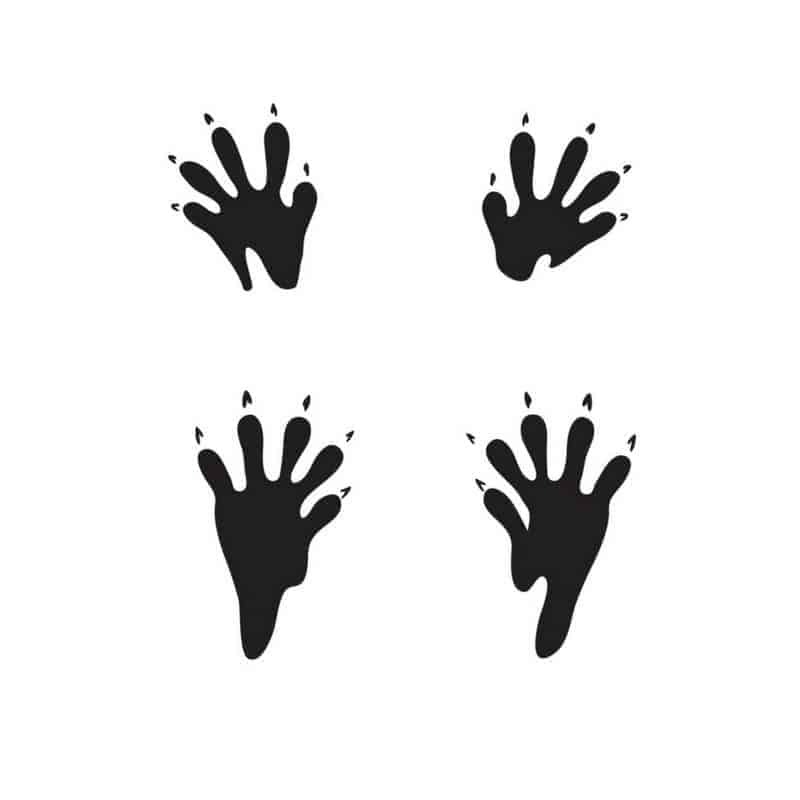 Raccoons like to put their fingers through larger holes – and they’ll pull your chickens THROUGH the holes. It’s a gruesome fate for your valued flock members. If raccoons eat chickens in your farm regularly, and it really becomes a problem for you (and none of the suggestions in this article work for you), consider calling a wildlife service (such as animal control or a wildlife rescue) to see if they can help relocate the animal. State laws vary about disposing of predators yourself, so it’s always best to be cautious and do your research before making any decisions. Awesome information.Do you all have catalogs and or books. ?If so I am very interested in your blog.